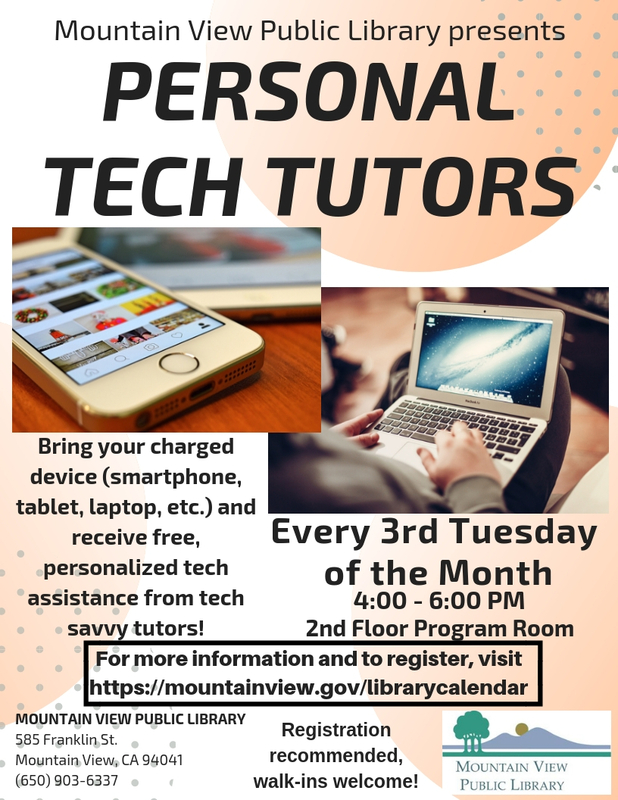 Receive free, personalized assistance from tech savvy volunteers! Learn how to communicate with loved ones on Skype or FaceTime. Learn the basics for using your laptop, tablet or smartphone. Download eBooks and eAudiobooks with the Library's eBook apps. Create a social network account on Facebook or Google+. Walk-ins are welcome, but those with reservations will be given priority. Please bring your charged device (computer, smartphone, tablet, etc.) WiFi and laptops will be available.